Want to learn more about running the easy way? Tired of shin splints, lower back pain, runners knee and leg injuries in general? Effortless Running will teach you the main focuses of the chi running technique that will help with your efficiency and make your running more enjoyable and injury free. ChiRunning® Certified Instructor Ruth Farrell is based in Cork Ireland and is teaching this revolutionary running technique which was developed by Danny Dreyer. The chi (pronounced 'chee') technique incorporates the movement principles from Tai Chi with running, creating a new approach to effortless and injury-free running. The key to this form of running is postural alignment and relaxation combined to create the best way to run faster, farther and injury free. By using this technique you land midfoot strike, use a forward lean to engage gravity and use your core strength for propulsion as opposed to power running with your legs. This technique is holistic, making your running easier and safer. If you're not familiar with the ChiRunning® technique click here to view David Stretanski's simplified explanation of this technique. 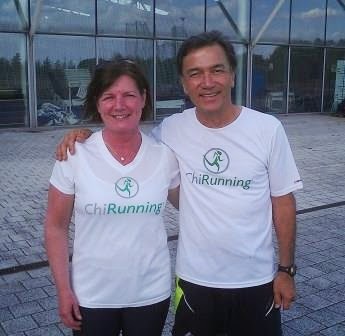 David is a Fitness Coach and fellow Certified ChiRunning® / ChiWalking® Instructor based in NJ, USA. In just 9 minutes David explains the basics of the technique so you can compare your current technique to what you could be doing with less effort, greater energy and injury free. When you choose to learn the ChiRunning® technique please make sure to book a place on a Certified ChiRunning Instructor's course. There are currently five Certified Instructors (which includes me) in Ireland and we have gone through a rigorous training programme to be accredited with certification. So invest your time and money wisely, contact a certified instructor to receive professional CR training. 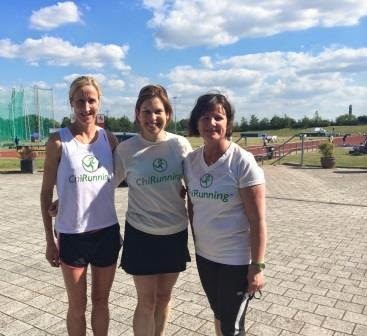 If you're interested in attending a ChiRunning ® course please click here for dates. Book early as there are a maximum of 8 -10 people per workshop to ensure individual attention in a group scenario. "Great day I really enjoyed it" Martin Bohane, Cork.